Youth & Opportunity United (Y.O.U. )- a 45 year old non-profit youth development and advocacy organization in Evanston, IL hired Studio Talo Architecture to design their new 12,000 sq.ft. office headquarters and youth program center. Early in the design development phase, the organization’s fund-raising committee asked us to produce renderings of the building and youth program spaces to aid in their community outreach and fund-raising campaign; We returned a more engaging idea. Having created positive owner experiences with 360 panorama renderings of other projects, Douglas Snider, Principal of Studio Talo's Visualization Studio, pitched the idea of incorporating avatar video of the youth the organization serves into dynamic 360 degree virtual reality video renderings. The young people would act as tour guides through the building, explaining how the organization and the new building would impact their lives. A panoramic video rendering, delivered through Google Cardboard virtual reality headsets would give users the experience of standing in the future building with the young tour guides as they plead their case for the new building. Y.O.U. loved the idea and the community, through the dynamic video rendering, experienced Y.O.U's mission, rather than just their plans. Apparently the American Institute of Architects loved the idea, too. Studio Talo was awarded the Technology in Architecture Practice, Exemplary Use in a Small Firm Citation. Studio Talo Architecture has a sister! In addition to architectural services, we have been providing construction management services for residential clients for six years. To better serve residential clients working with lenders, and to expand services for our commercial clients, we have established a sister company, Talo Construction, Inc. to provide general contracting services. A photo of our Lincoln Street Residence has been featured in an article on Houzz! Construction is well under way at our mid-century modern addition to a 50’s ranch in Park Ridge. The weather has been cooperating and several days of sunshine in a row have helped the carpenters finish the second floor framing and half of the second floor walls and roof. It’s coming together! In 2004 we helped Gateway Montessori School get on the map in Chicago with the design of their small, two-classroom school. Word about the school caught on, and in less than two years the owners asked us back to help design space for two more classrooms. When it became clear this year that the school had outgrown its space again, the owners asked us back to help her study the feasibility of buildings to be Gateway’s new home. After analyzing several buildings and crunching the numbers, the school has decided to build a new, ground-up building. We are honored to have the opportunity to help them create a new gateway to learning in Chicago’s Irving Park neighborhood. The design process is underway, here’s a snapshot of where we are. Stay tuned…. Orrington Residence Wins Design Evanston Award! On Monday evening, the Evanston Preservation Commission awarded our project Pi Beta Phi Sorority on Northwestern University’s campus with an award for “a sensitive addition” and for “innovative solutions in preservation.” Our project integrates interior and exterior improvements into the building and campus, making the building more accessible for all. Our thanks to the city, Northwestern and especially to our friends at Pi Phi for making this great project possible! 2001 Space Odyssey: If You Will Permit Me…. We’re in! 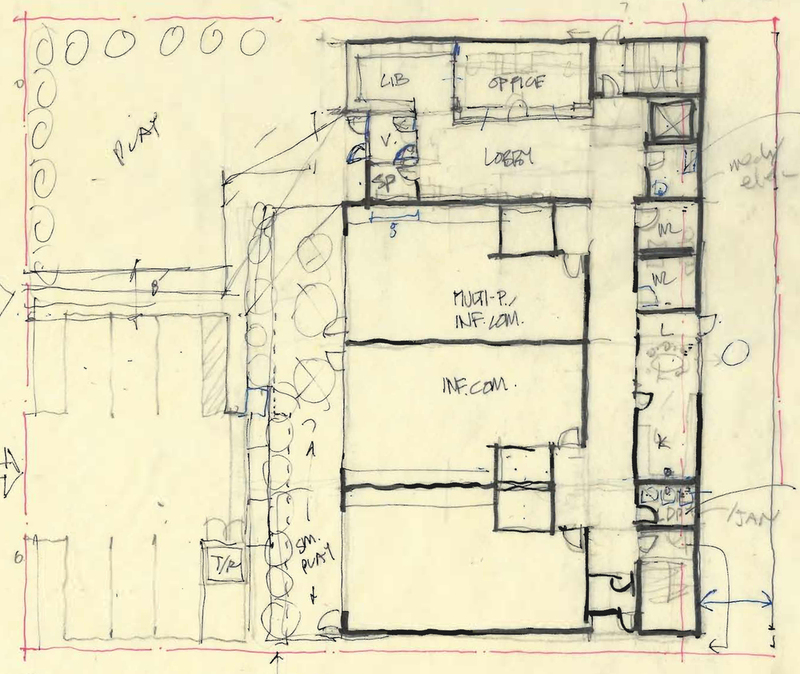 As of Friday, we submitted our building permit application for our addition to 2001 Noyes in Evanston. We had previously submitted drawings (a couple of times….) to the zoning department to get their approval. Our original design required a zoning variation that we did not get. It was a bummer, but that happens... So we re-designed and obtained a different variation that will allow the project to move on to the Building Department for their review. Evanston recently updated the requirements for residential additions and renovations to reflect the community’s commitment to sustainability. In addition to meeting the International Energy Conservation Code (2012 version, in case you were wondering…) the city now requires that projects also incorporate three additional green building measures from an approved list. Since creating high performing buildings is what we do, this was a snap. But it does go to show that codes and city requirements are always evolving. 2001 Space Odyssey: Fitness Pal for Your House. If you have used a calorie counting app like, ahem, some of us do, then you get part of what we do to make homes comfortable. Making sure a house is well heated and cooled is a calorie counting calculation. With good insulation and careful detailing, we minimize the number of calories the house needs to use. Then we do the math to balance the energy (which is what a calorie measures…) in with the energy out. Counting calories. For residential projects like my house, we run the numbers ourselves to make sure we are using the right sized heating, cooling and ventilation equipment. (For larger, commercial projects we partner with really smart mechanical engineers who have better “calorie counting” software for bigger buildings…). I met with a trusted mechanical contractor after we calculated the capacity of our equipment. Then we worked out exactly where the equipment and ductwork will go. Coordinating the ‘lungs’ of the building with the ‘bones’ (see previous post) is one of the most important, and least glamorous, things we architects do. The veggies are sprouting and the Edible Acre is still growing strong. We are proud to have helped our friends at The Talking Farm convert a disused lot, formerly known as ‘the smokers’ corner’ across from Evanston Township High School into a food producing juggernaut used by students for community learning as well as math and biology faculty. It’s been four years….keep up the great work ETHS. 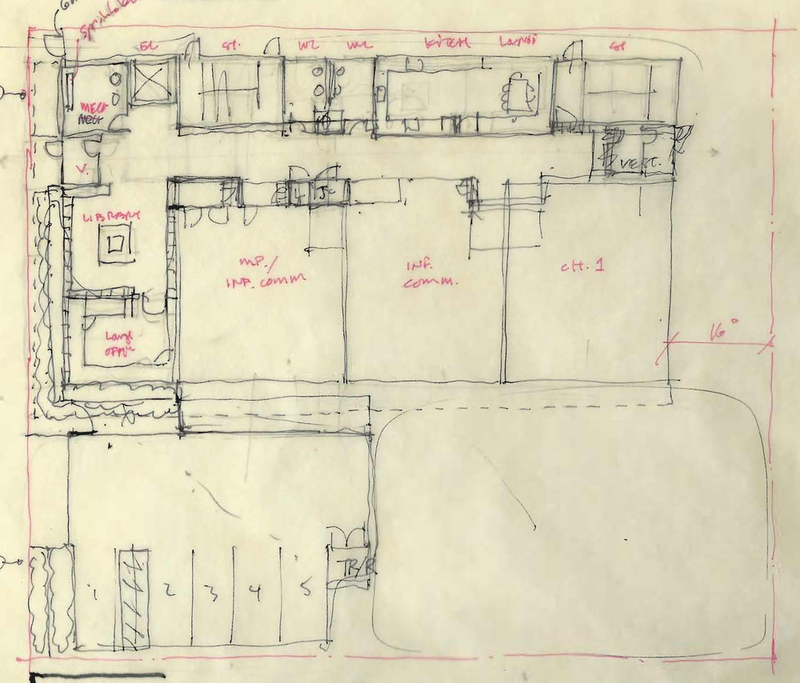 As we are settling on the general plan layout and what we wanted the house to look like, we have to figure out how the addition will be supported. I ran my take on the configuring the addition’s bones by our engineer, Shari. She’s trained as both an architect and structural engineer and is great at helping us figure out the most efficient structure that achieves our goals. Sometimes we have to use steel beams and columns rather than wood to achieve the long spans and wide-open plans clients often like. The down side of steel is that it often adds to the budget and introduces another trade to be coordinated. The good news from Shari was that we won’t need much steel for our place. Thanks Shari! Stay tuned as we figure out the next piece of the puzzle….how we will efficiently heat and cool our ‘new’ house. I wasn’t originally planning to broadcast the process. Each addition, project...and each client is unique. I didn’t want to say ‘this is the way to do an addition.’ My hope is that these posts will be informative for those of you thinking about expanding or renovating your home. It’s been a while since the Mighty Twig pop-up library we helped design was reincorporated back into the Evanston Public library system. My girls train at Fonseca Martial Arts down the street from the library and we stopped by over the weekend to check out a book or two. Studio Talo is proud to have provided the pro bono design services that helped that plucky band of book-loving citizens create their new home when the old South Branch was shuttered. Keep up the good work! Our design for converting a two flat to a modern single-family home in Lincoln Square hits a milestone this week. We will complete the Design Development drawings and begin producing a thorough preliminary cost estimate to make sure budget, scope and quality are all still on track. This is one of the big advantages of designing and managing our clients’ projects from beginning to end...providing great design and cost information to help them make informed choices. We are pleased to welcome Victoria Saunders to the office. 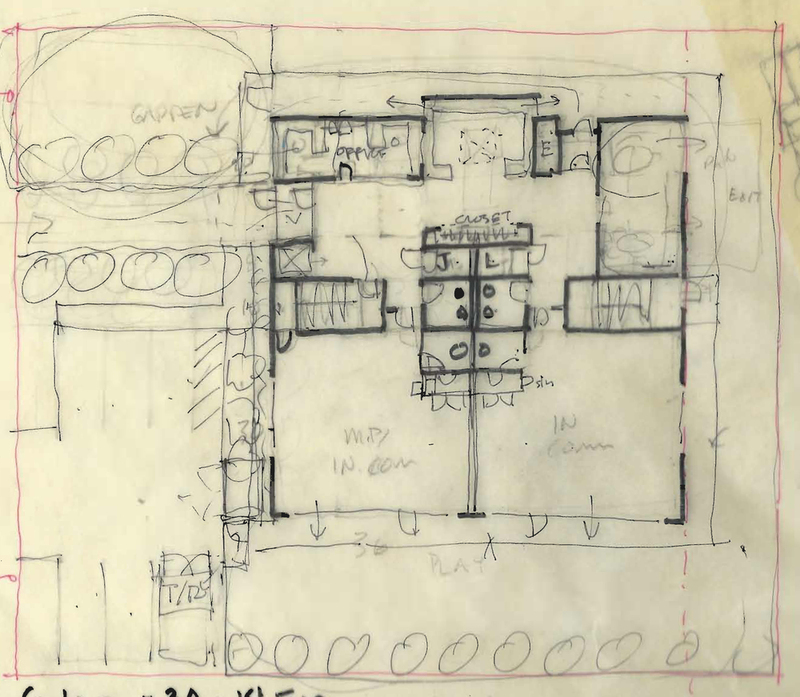 When we advertised for an 'architectural omnivore with solid Revit (the software we use..) chops,' she replied that we had found the 'Revit guru' we were looking for. And she was right. Victoria brings design, project coordination and sweet graphics skills to the office. Stay tuned for a new and vastly improved web site courtesy of Vanilla Vice as she's known in roller derby circles. We think we've found a real jammer. Last week Thomas Ahleman volunteered with our professional association, the American Institute of Architects, to serve on an accreditation visit to the University at Buffalo's Master of Architecture program, the largest school in the SUNY system. In addition to seeing some outstanding student work, he had a chance to see a couple of gems in Buffalo including Sullivan's Guaranty Building and Frank Lloyd Wright's Darwin Martin house. That Frank knew what he was doing.... And a shout out to our Evanston neighbor, the Botti Studio of Architectural Arts which is reproducing a mosaic that will sit in the home's entry. We have submitted plans for a renovation in Park Ridge that will expand a mid century ranch and bring it up to date for a family, while amping up the modern vibe. We just received a permit from the City of Chicago for our project to join and remodel to units in Mies van der Rohe's iconic high-rise at 880 Lake Shore Drive. Construction will start soon so stay tuned for before and after photos.